With decent white sand beaches and affordable accommodation Sihanoukville, Cambodia has developed a reputation as a good place to soak up sun during the day and party the night away. 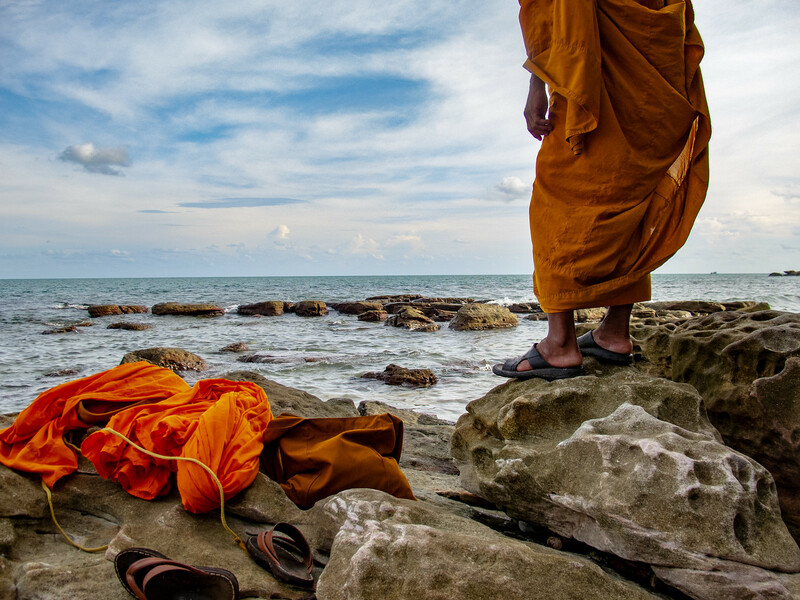 One of the things I never expected to find was Buddhist monks swimming and enjoying their day on the aptly named Serendipity Beach. It was yet another amazing scene here in “The Kingdom of Wonder”.